Calling all achievers and challengers! Samsung’s latest flagship device, the Galaxy Note9, has finally arrived on Malaysian shores. 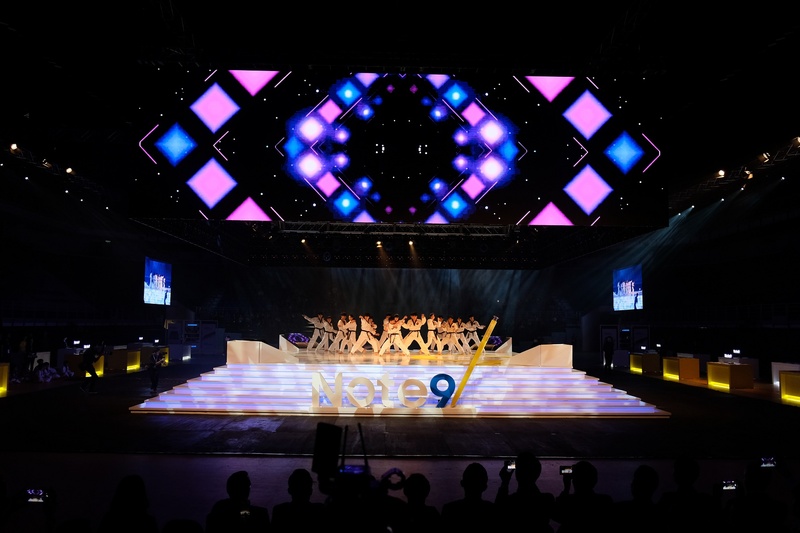 Excitement was abuzz at Arena Axiata, Bukit Jalil, as 2,000 people witnessed the largest and most resplendent launch of any Samsung smartphone yet. With many prominent improvements over its predecessor, the Galaxy Note9 is the next ‘superpower’ among its peers in the smartphone arena. “The Galaxy Note9 combines power, productivity, sheer endurance, and entertainment into one single device. Coupled with a strong defense-grade security feature, this is the go-to device that fits every need. Consumers nowadays are consistently looking out for a smartphone that is capable of doing it all – from taking great photos, to smooth gaming experiences, to business presentations. 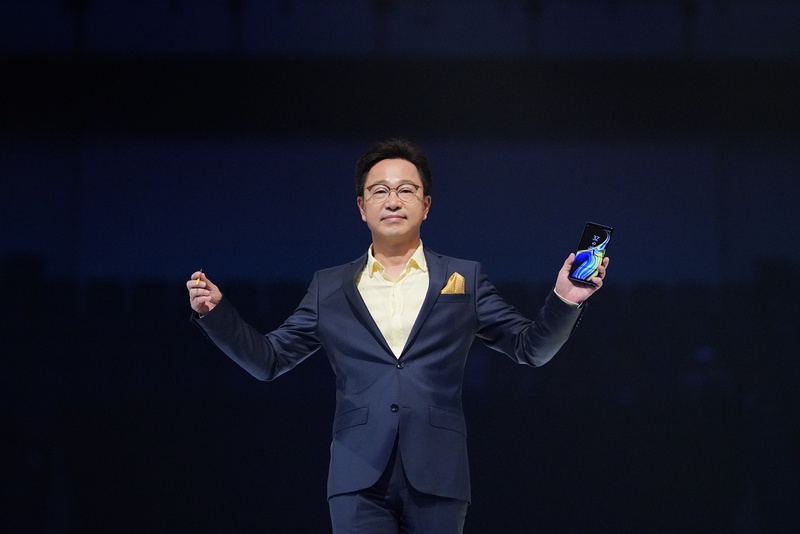 I’m glad to announce that now, you have the perfect option in the Galaxy Note9,” said Yoonsoo Kim, President of Samsung Malaysia Electronics. As thousands of people witnessed the historic launch of the Samsung Galaxy Note9, it was the appearance of K-Tigers, the world’s leading Taekwondo demo team that further electrified the crowd and atmosphere. Their strong performance of the globally-favoured martial art was the perfect representation of the new device’s speed and power, therefore officiating its launch in a memorable way. 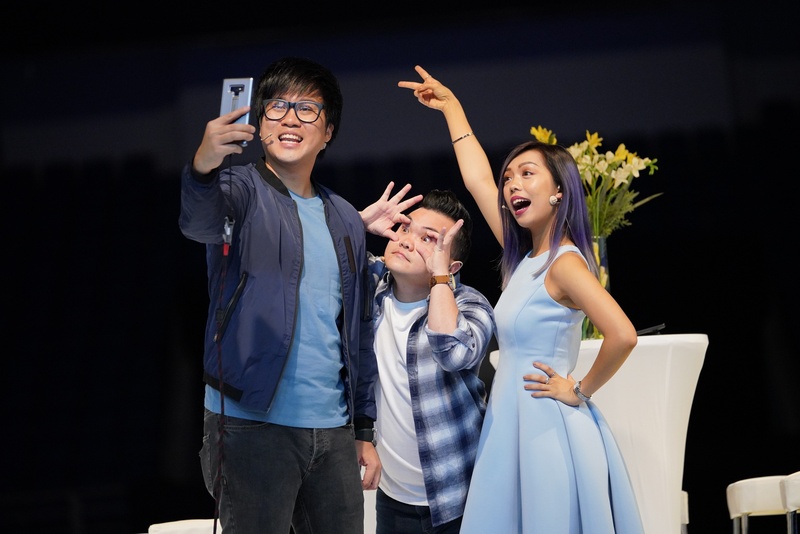 from left: Jinnyboy (@jinnyboy), Reuben Kang (@reubenkang), and Jenn Chia (@soimjenn) posing for a photo during their product demo act. With the Galaxy Note9, Samsung continues to showcase the legacy of this series that consumers have grown to love. With its large and much-loved Infinity Display, the productivity of its S Pen, and its Galaxy ecosystem, the Note9 offers consumers the optimal mobile user experience that cannot be found elsewhere. The “Young Tigers” giving their energetic performance to during the Galaxy Note9’s launch gambit. The Samsung Galaxy Note9 will be available starting August 24th 2018 in Malaysia, at a recommended retail price of RM3,699 and RM4,599 for the 128GB and 512GB models respectively. The device will be offered in Midnight Black and Metallic Copper with matching S Pen colours, and Ocean Blue with a Yellow S Pen. For more information about the Galaxy Note9, visit: https://www.samsung.com/my/smartphones/galaxy-note9/.